As you probably already know, Parrot is a renowned manufacturer of quadcopters. 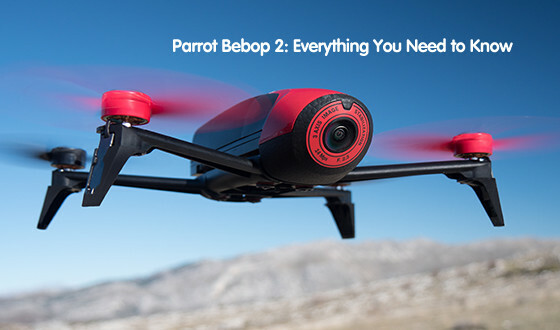 Their Parrot Bebop has been a commercial success, but they have already released its successor. Parrot Bebop 2 is supposed to provide a significantly better performance, especially in terms of flight time, but it remains to be seen whether it will live up to the hype. In order to help you make an informed decision about switching to the new model, we’ll present you with its features, and compare it to the original. * All the key features of the Parrot Bebop 2. The improved drone didn’t get much heavier, which is the first positive indication of its quality. While the original Parrot Bebop weighed approximately 400 grams, its successor doesn’t go over 500, all thanks to durable, and yet lightweight materials. The camera has stayed the same. It is a 14 Mega pixel device capable of taking high resolution photographs, as well as 30 frames per second video. It is equipped with “fisheye” lens that provide a 180-degree angle without distorting the picture. To increase the stability of the drone, and not risk its maneuverability, Parrot Bebop 2 has been equipped with multiple sensors. Apart from the gyroscope, pressure sensor and magnetometer, there are also a vertical camera, a 3-axes accelerometer and an ultrasound sensor. Parrot Bebop’s motors have been upgraded to become more powerful. 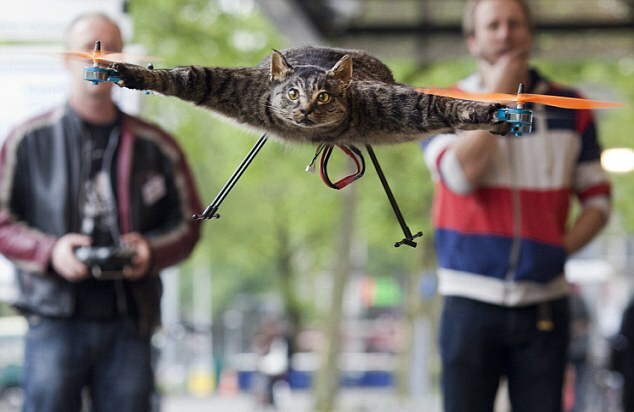 The newest version is capable of reaching a height of approximately 100 meters in only 18 seconds. Apart from this, the company has made it capable of withstanding wind speeds of up to around 65 kilometers per hour. The original version’s battery could last around 11 minutes in total. Parrot Bebop 2, on the other hand, promises to double that time, and make it to 25 minutes on a single charge. This is all due to the fact that the original 1,200 milliampere-hour battery has been upgraded to a 2,700 one. Just like the original Parrot Bebop, the latest model also has the useful Return Home button. This means that, provided that you’ve selected the departure point beforehand, you can use the feature to fly the drone back home automatically. Freeflight 3 is an application that will surely come in handy if you’re just starting to get to know your drone. While using it, although you keep the control over the device, you are provided with a much easier and more intuitive way of maneuvering. * Parrot Bebop 2 in action. While the speed was one of the bigger issues for its predecessor, Parrot Bebop 2 has proved to be a lot faster. That doesn’t compare, however, to the improvements in battery life. Whatever you might think of this drone, you can’t deny the fact that it has an impressively long flight time. This can perhaps be called its best feature. Considering what it can do, Parrot Bebop 2 is surprisingly light. This, however, doesn’t make it less resistant – the drone can withstand a lot without getting seriously damaged. 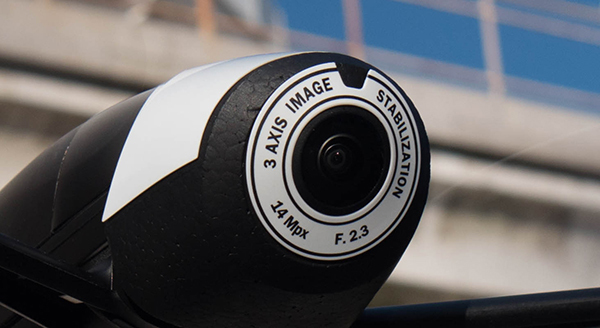 Although the company put a lot of effort into upgrading the original Parrot Bebop, they seem to have forgotten about one small thing, namely the camera. The old 14 Mega pixel was a quality camera for its time, but there are plenty of improvements that could be made nowadays. Fisheye lens can do wonders when it comes to avoiding image distortions, but not even they can compensate for the lack of improvement in terms of image and video quality. 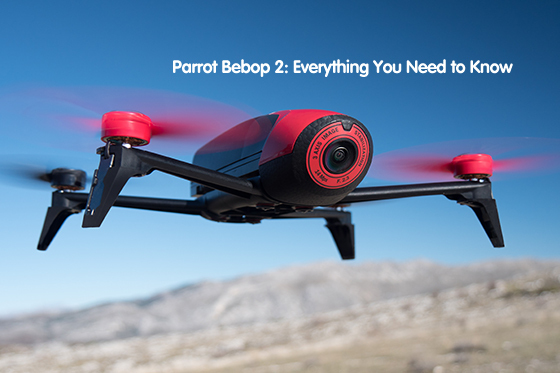 What is the difference between Parrot Bebop 1 and Bebop 2? * Comparison video between the Parrot Bebop. Probably the biggest differences are in flight time and battery life. While the original version could fly for approximately 11 minutes on a single charge, Parrot Bebop 2 can last for up to 25, which is a significant difference. Thanks to its improved motors, it can also reach higher speeds, while at the same time maintaining the high level of maneuverability. Apart from this, it is apparently much more resistant to the effects of strong winds, which makes it more durable than its predecessor. 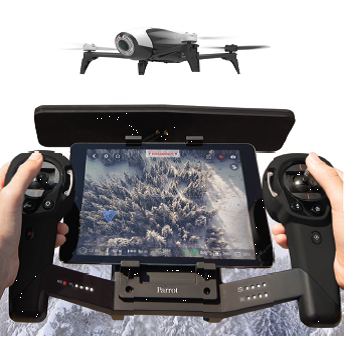 The manufacturer has also stated that Parrot Bebop 2 has less connectivity problems than the original. Should you buy Parrot Bebop 2? Although the camera hasn’t been upgraded, the overall quality of the drone has increased. If you’re an aerial photography enthusiast, higher speeds and longer flight time will probably make a world of difference, which makes Parrot Bebop 2 a good investment. 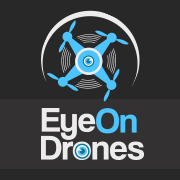 In conclusion, there are plenty of drones on the market that offer many different features. It seems that although it won’t be able to compete with others when it comes to image and video quality, Parrot Bebop 2 will probably be one of the faster and more reliable ones.